Cebu Pacific is one of the known airlines in the Philippines. This company provides hassle-free online ticketing booking for most people's convenience. 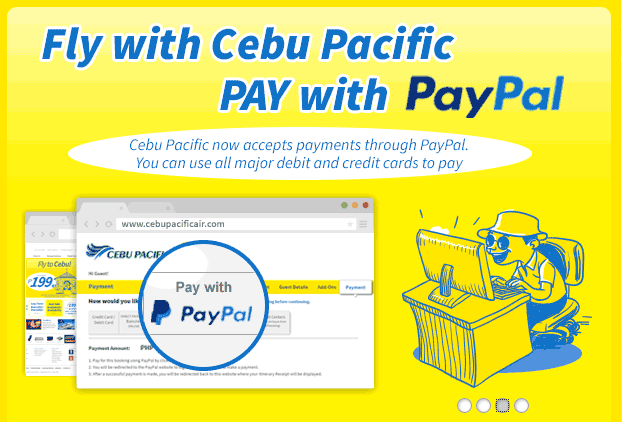 Recently, Cebu Pacific welcomes another payment method via Paypal account. And of course, I am one of the many travel enthusiasts who is happy to know this good news. Ola! The perks of having a PayPal account. PayPal is a global payment platform that allows users to pay and be paid online securely and conveniently. Nowadays, there are number of online businesses accept payments through Paypal like Agoda, Lazada and among others. Go to PayPal and make an account. Don't worry it's free.